This April will mark the 14th annual Oral Cancer Awareness month. Statistics have shown that nearly 42,000 people will be diagnosed with oral or throat cancer this year. Of those diagnosed, the 5 year survival rate is approximately 64%. The numbers are astounding and seem to be on rise. Most of us know or have at least heard about the normal risk factors for oral cancer. These include heavy drinking, smoking and smokeless tobacco use. A new risk factor that is on the rise is the human papilloma virus (HPV), a sexually transmitted disease. This has helped open the conversation about oral cancer to all patients and not just those with the traditional risk factors. The next question that usually comes to mind is how to avoid oral cancer? The obvious answer is to avoid the risk factors. The next step, as advised by the American Dental Association, is to have regular oral cancer screenings completed by a dental professional. This is the best way to detect oral cancers in the early stages, and thus saving lives. Unfortunately, head and neck cancers have often developed to advanced stages before they are visibly detectable. At Harris Dental, we take oral cancer screenings and early detection very seriously. We have recently implemented a new diagnostic tool named the OralID. The OralID implements proven fluorescence technology that uses a blue light that allows us to identify oral cancer, pre-cancer and other abnormal lesions at an earlier stage. Another question that may come to mind is how will this affect or change my routine visits at Harris Dental? We will be providing the oral cancer screenings as part of our yearly exams. The OralID does not require any type of mouthrinse or dyes. We will provide eye protection and use the light to take a look around the oral cavity. The exam is painless and only adds an additional 2 minutes to the exam. The best part is that we will be providing this service at all 5 of our valley locations at no additional charge! This is a subject that is near and dear to my heart. During my residency in Mesa, Arizona I had the opportunity to work with many head and neck cancer patients prior to receiving treatment at the M.D. Anderson Cancer Center. Many of the patients were healthier than I am and the cancer seemed to come out of nowhere. If the cancer could have been detected in the early stages, treatment could have been avoided and lives saved. The OralID is advancement in early detection technology and will allow the Harris Dental team a way to continue to provide the absolute best treatment to our patients. Please contact us with questions or check out www.OralID .com for more information. The severity of periodontal disease and the proper way to treat it often remained a mystery in the past until the infection’s damage progressed too extensively. It is often very aggressive and is well known to cause severe bone deterioration and tooth loss over time, but there is a new way to help dentists choose the best way to treat it. Keep reading to learn about how researchers at Columbia University Medical Center may have found the key to analyzing periodontal disease before it causes irreversible damage to tooth, gum, and bone tissue. 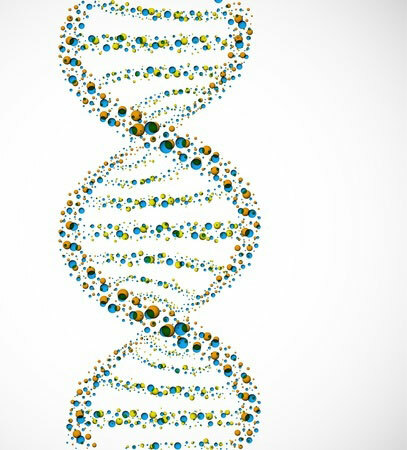 How Does the Genetic Signature Work? The research team carefully thought about possible ways to predict the severity of periodontal disease as it progresses and decided that cancerous tissue analyzation methods may offer a good starting point. The team took samples of infected gum tissue from several patients to map each sample’s genetic signature. This process lead to the discovery that the genetic sequence of infected gum tissue varies in a similar manner to cancerous cells. The genetic signature of half of the samples were observed to be more aggressive than the composition of the other half. How Can Patients Benefit from this Discovery? This discovery will push the understanding of different types of periodontal disease forward. Dentists will soon be able to decide which treatment method will work best for each patient before the tissue destruction that accompanies gum disease is too extensive. Keep checking Harris Dental’s blog for more information about new discoveries. Read the full article about genetic signature here. Having a perfect set of teeth is certainly a blessing. However not all of us are so blessed and we can have alignment problems. Dentists use retainers to help align teeth and get them back to their perfect setting. Typically, a dental retainer is made with a wire that can be fixed or temporary, and can be attached to the back of the teeth. Sometimes retainers can be made of plastic as well. The whole purpose of wearing a retainer is to maintain the alignment of the teeth. Often they are worn after the work of the braces are complete. Retainers, which are put inside the dental arch, help to take care of the teeth even when outside factors can spoil the alignment. Why Wear a Dental Retainer? According to dentists, dental retainers are a boon for those with badly aligned teeth. 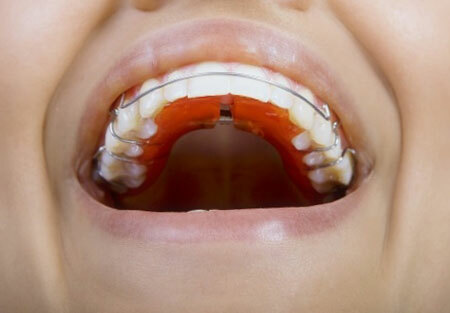 The work of a retainer starts after the work of braces is finished. They help to stabilize any form of movement of the teeth. The length of the retainer is determined by your dentist and mostly spans the length of your teeth with a special focus on areas that have an alignment problem. These retainers are removable to allow you to easily clean your teeth as well as the retainer. Removable retainers are often worn for less than a year. On the other hand, permanent or fixed retainers often stay on the teeth for at least two years. It all depends on a case to case basis as to what kind of retainers are recommended for your particular needs. However, one needs to be careful with dental retainers. They can possibly break or get damaged if hit with something hard. So it is always good to be careful as to not drop them, or to avoid wearing them in any form of combat sport. There are specific retainers made specially for contact sports. Dental retainers can be maintained easily with just regular cleaning and proper handling. A little care, and they can give you back your perfect set of teeth. 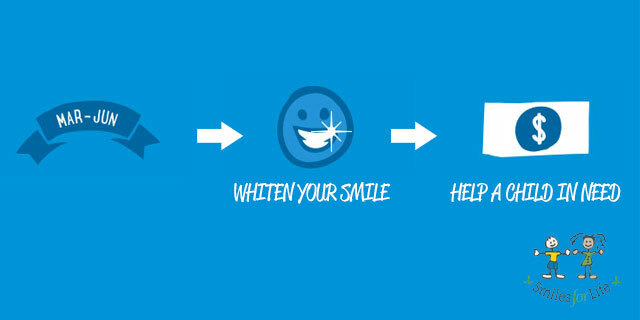 Help improve a child’s life by having your teeth whitened. Sound easy? That’s because it is. The 16th annual Smiles For Life Campaign begins today, which means dental patients nationwide can brighten a child’s future just by visiting one of the 5 locations of Harris Dental. 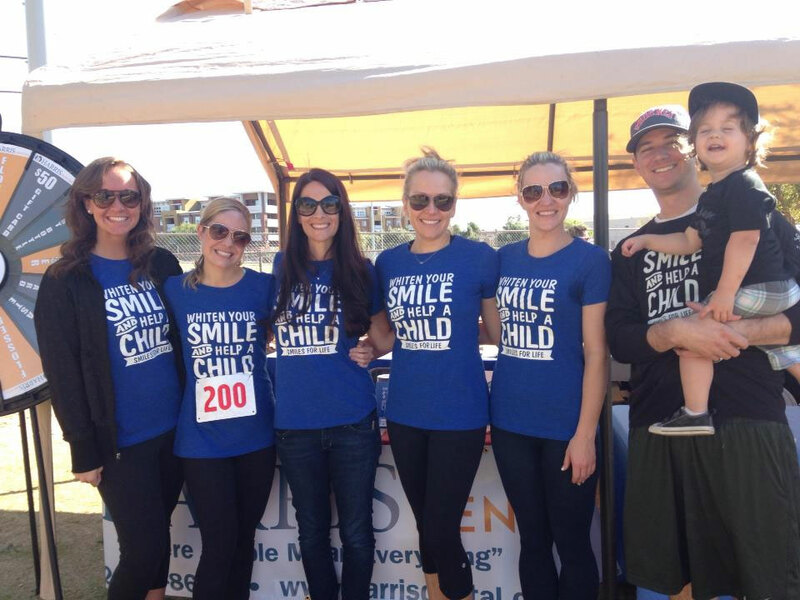 The campaign runs from March through June, and 100% of the proceeds from teeth whitening procedures done at Harris Dental are donated to worthy children’s charities, both locally and around the world. As an additional incentive, each tooth whitening patient enjoys their smile brightening procedure at a discounted rate. Patients love the unique opportunity to improve the lives of children in need while also enhancing their own smile. Since its creation, the Crown Council’s Smiles For Life Campaign has raised over $33 million for seriously ill, disabled and disadvantaged kids. Donations from last year alone totaled $1.5 million. Smiles For Life hopes to break the $35 million mark for total collections during this year’s drive. This is a wonderful and easy way for members of the community to help make a real difference in a child’s life. Harris Dental offers gift certificates for teeth whitening, making it easier than ever to give the gift of a new smile to friends and loved ones, while also giving hope to children in need. Half of the donations raised by Harris Dental are given to Johnjay & Rich’s Christmas Wish, a local children’s charity, with the balance going to the Smiles for Life Foundation for distribution among approved charities throughout the world. Stay tuned to see how much Smiles For Life is able to raise this year. Better yet, participate! For more information on the campaign, please visit: www.smilesforlife.org. If there is a strongest substance in our body – tooth enamel it is. Not only does it keep our teeth look glisteningly white, the hard layer protects the teeth in more ways than one. But, the enamel can erodes, and teeth become sensitive and exposed to infections and other issues. Thinning, or erosion of the tooth enamel, is a phenomenon that can be mild or severe. Tooth erosion can be attributed to diet. Consumption of too much acidic food can cause tooth erosion. Those who are in the habit of consuming sugar based foods can also be in danger of dental erosion, as the bacteria gets attracted to the sticky sugar that attaches itself to the dental enamel. Reduced saliva generation also causes a dry mouth which does not neutralize the acid production. This causes the leftover food particles in the crevices to remain in the mouth, and therefore lead to tooth erosion. There are some medical situations that can also be the cause of thinning enamel. Alcoholism, bulimia, acid reflux, heartburn and acidity can also be the cause of the problem. It is rather easy to detect dental erosion or thinning of the tooth enamel. The teeth become overtly sensitive when consuming food at extreme temperatures – like hot and cold. The teeth can look yellow as also may have some chips and cracks as well, showing the weakening of the teeth enamel. In some severe cases, tooth decay, might also be evident. To begin with, it is important to focus on one’s diet. Proper dental care is the key to preventing erosion of tooth enamel. Avoid extreme sugary food and acidic ones as well. If you do have to consume acidic food that is predominantly liquid, use a straw and avoid direct contact with the teeth to the extent possible. Strengthen the enamel by using fluoride enriched toothpaste. Use a soft bristled toothbrush, so that the damage is mitigated. This will certainly help prevent erosion. At the same time if certain portions of your teeth have been affected, it may help to get a dental sealant applied to avoid further damage. It would also be necessary to set up an appointment with the dentist and get the necessary medications if needed.